Buhawi (Tornado) hit Cebu City, Urgello on Thursday, September 18, 2014 at around 6AM. 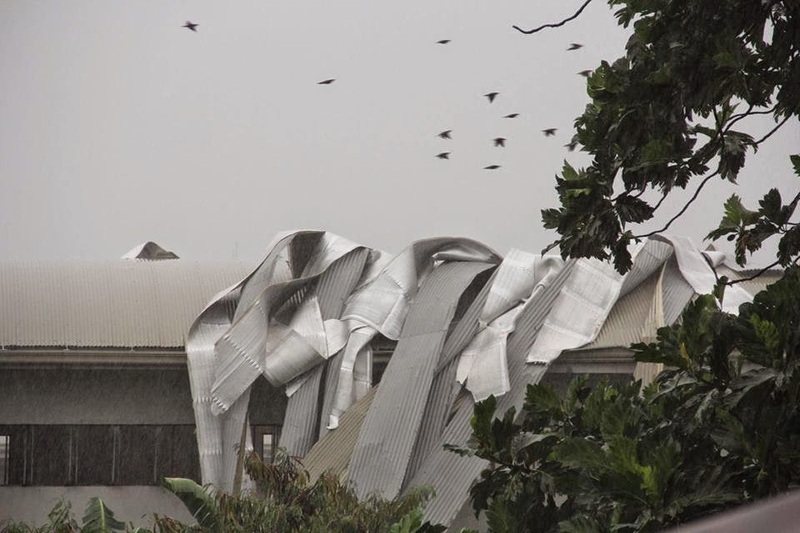 The photo posted by Leo Lastimosa in his fb page showing South Western University roofs has been damaged due to the tornado. Classes were suspended because of the heavy rainfall in Cebu. Mabuti nalang at walang pasok ang mga bata.